More than a year after a meeting between political science Profs. Jacqueline Stevens and Alvin Tillery resulted in a rift, the two are embroiled in a lawsuit over claims made about that day. Later that day, Stevens emailed Sara Monoson, chair of the political science department, and alleged Tillery had slammed the door in her face and talked to her in an “aggressive” tone, according to a copy of the email obtained by The Daily. The incident contributed to Weinberg Dean Adrian Randolph’s decision to place Stevens on immediate leave in late July. More than a month after Stevens’ September return to campus, Tillery sued her for defamation and for casting him in a false light. 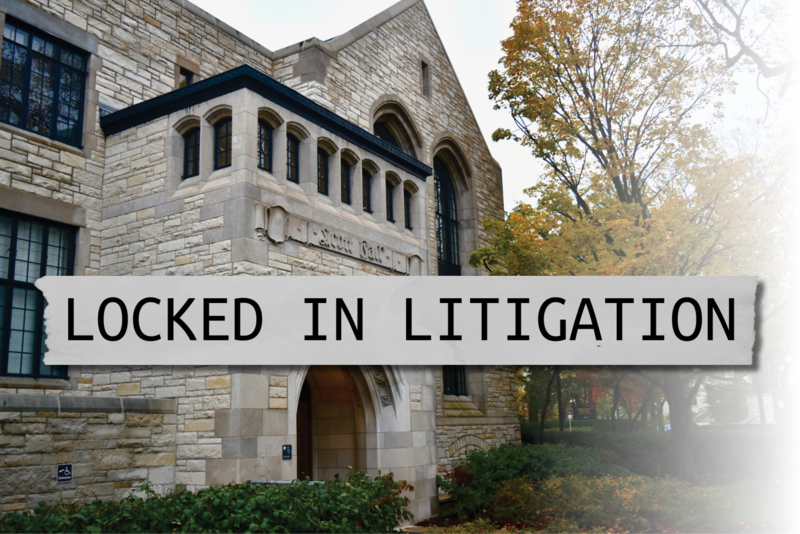 Stevens then sued NU in March 2017 for breach of contract over the University’s denial of her request for indemnification, in which she sought protection sometimes available to faculty members who are the subject of litigation over an action they take as part of their university duties. This July, Stevens filed another suit — against NU and Monoson — for breach of contract, intentional interference with contract and defamation. 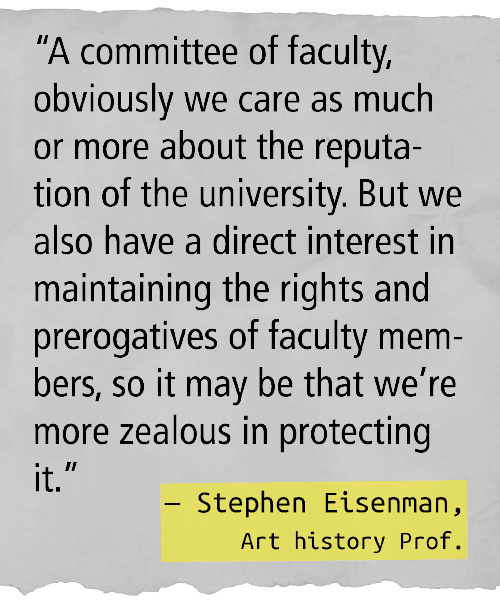 Stevens and Tillery’s case points to an issue with the way faculty resolve conflicts among themselves. Both said the current system, wherein faculty can bring grievances to their supervisors, is lacking. The details of the March 2016 meeting between Tillery and Stevens have been contested by both professors. Tillery told The Daily he called Stevens to his office to ask if she would allow a newer faculty member to take a large lecture course she was scheduled to teach in the fall. Since 2010, no incoming professor has taught a 200-level political science course in Fall Quarter, with the exception of fall 2016, according to the department’s website. The conversation turned tense, Tillery said, as Stevens questioned his motives behind the request. 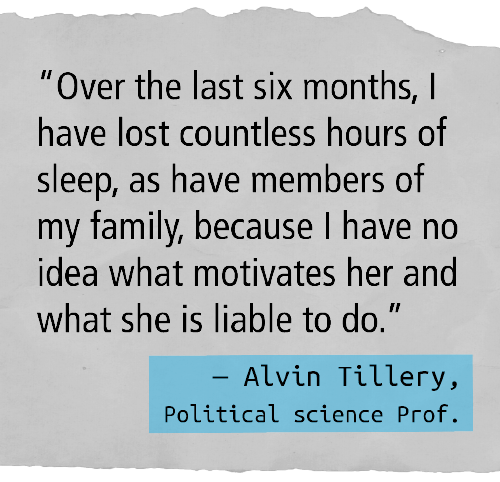 Tillery said she accused him and other political science department administrators of having lied to her in the past. Tillery told The Daily he asked Stevens to leave, and later reported the incident to Monoson. Stevens, however, told The Daily the meeting proceeded differently. After she questioned Tillery’s motives for asking her to switch teaching assignments, she said Tillery became agitated and yelled, prompting her to leave. As she exited Tillery’s office, Stevens said he slammed the door behind her. In signed affidavits, three professors with offices on the same floor as Tillery indicated they did not hear anybody yelling in the hall on March 8. Two of the professors did not specify what time they were in their office, but all of them wrote they did not hear a door slamming. Two of the professors said their office doors were not closed that day. Political science Prof. Karen Alter, who signed one of the affidavits, told The Daily she does not believe an altercation happened. “Had any loud noises occurred, such as yelling or any kind of slamming, I would likely have heard the noise,” Alter wrote in her affidavit. Stevens contested the veracity of these statements, saying she looked around the hall after leaving Tillery’s office, and believes at least two of the three professors were not in their offices. “I am absolutely positive that there were no doors that were open,” she told The Daily. In a signed declaration, a former NU student said he heard a “male voice yelling” the phrase “Get out!” before he heard a door slam. He then saw Stevens walking toward him “looking startled and flustered,” according to the declaration. The former NU student could not be reached for comment. After the meeting, Stevens emailed Monoson with her account of what happened. Stevens wrote that the former NU student was in the hall during her interaction with Tillery. “The student was so upset on my behalf that he offered to go in and ‘take care of this for you,’” Stevens wrote to Monoson, noting that he was a wrestler. In the email, Stevens said Tillery’s behavior was “out of character,” and that she was hopeful they could resolve the matter. Tillery said he later heard that the student wanted to address the matter with him. Tillery’s daughter often visited him in his office, and the professor said he was afraid she would witness someone harming him. Stevens told The Daily she does not believe her email to Monoson suggests any specific threats or an intent to hurt Tillery. Tillery said he was relieved to learn a few days after the March 8 incident that there was no evidence indicating a student wanted to physically harm him. However, Tillery said he wanted to distance himself from Stevens and asked administrators to move his office from Scott Hall. The University later granted him a temporary space in a different building, Tillery said. During this time, Tillery said he heard talk among his colleagues about Stevens’ claims that he had verbally abused her. 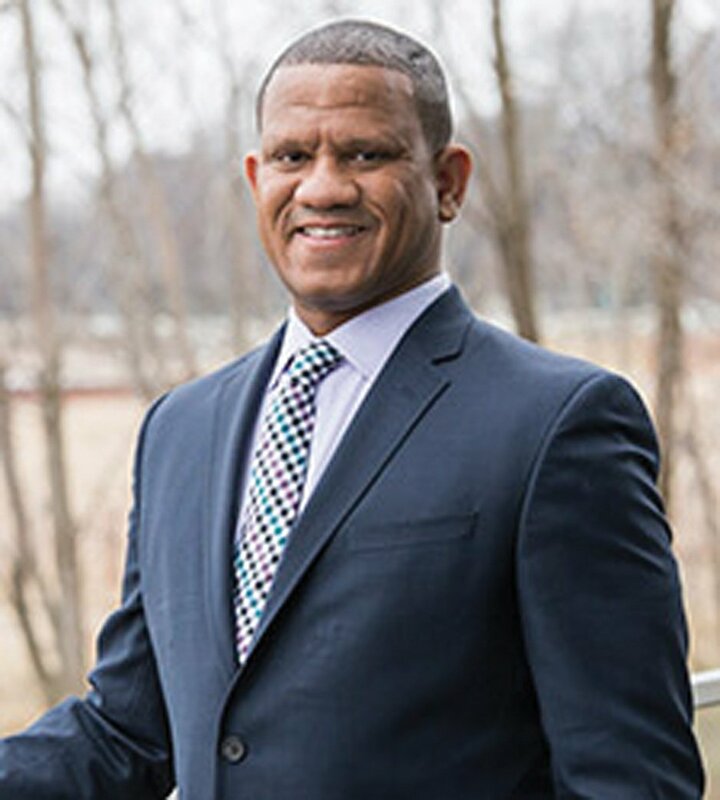 After seeking advice from friends, Tillery said he decided to send Stevens a cease-and-desist letter to force the University to act on the issue. In the April letter, his lawyer said Stevens’ “false statements” to administrators and colleagues about Tillery were defamatory. The letter demanded that Stevens cease making statements about Tillery and that she retract those she had already made. According to Stevens’ lawsuit against NU, she sought indemnification after receiving the letter. Stephanie Graham, who works in the Office of General Counsel, told Stevens she “needed to submit to an investigation of the matter by an ‘independent investigator’” to be indemnified, according to the lawsuit. The report said Stevens’ conduct toward colleagues “may constitute a breach of her duty of loyalty” to the University, potentially precluding her from receiving indemnification. In late July, Graham told Stevens the University would not indemnify her. Stevens was also banned from campus, forbidden from contacting students and told she needed to undergo a fitness-for-duty evaluation before being able to return, according to a copy of a letter obtained by The Daily. “Some colleagues state clearly that they fear you might physically attack them or instigate an attack against them,” Randolph wrote in the letter. University spokesman Al Cubbage told The Daily that the Office of General Counsel declined to comment. Randolph also wrote that Stevens’ account of her meeting with Tillery “does not tally with the very clear and coherent view of others.” An assistant to the dean told The Daily in an email that Randolph would not comment for this story. The University denied those allegations in its response to Stevens’ lawsuit. Stevens told The Daily she believes the University banned her from campus due to her role in organizing opposition to the 2016 appointment of former ambassador Karl Eikenberry as the executive director of the Buffett Institute for Global Studies, as well as due to her academic writing and statements made during Faculty Senate meetings in which she criticized Board of Trustees members for their connection to the military. Eikenberry, a former lieutenant general in the U.S. Army, pulled out of the appointment in April 2016 after some faculty and students raised concerns about his lack of a Ph.D. and his military background. Stevens said she believes the University retaliated against her because of her anti-Eikenberry activism and her criticism of the trustees. Monoson deferred comment for this story to Cubbage, who told The Daily in an email that NU is “firmly committed to academic freedom, as has been demonstrated on many occasions.” Cubbage declined to comment further. 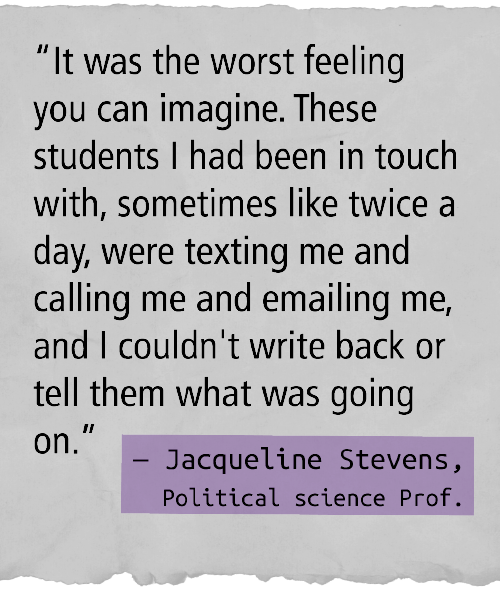 In early September 2016, Stevens said, she couldn’t contact students whose research she oversaw. She publicly described her concerns about the University’s actions by launching a blog with links to documents related to her case. The blog, Stevens said, allowed her to notify students about what had occurred without contacting them directly. Although Stevens did not name Tillery in her first blog post, Tillery told The Daily he received calls from reporters, messages from strangers and questions from colleagues about the posts. Some of the messages were “derogatory,” he said. Soon after Stevens published her first blog post in which Tillery is alluded to as the “Slammer,” he posted on Facebook revealing himself as the colleague Stevens was blogging about. In the post, Tillery wrote his altercation with Stevens had “absolutely nothing to do” with her opposition to Eikenberry. In September, Randolph informed Stevens in a letter obtained by The Daily that the University was lifting her ban from campus. According to the letter, Randolph told Stevens that administrators were determining whether disciplinary actions would be taken regarding her teaching and conduct. More than six months after the March 8 meeting, Tillery sued Stevens for defamation and false light, demanding damages and injunctive relief. Tillery said the fallout from the meeting with Stevens impacted how he was perceived by NU colleagues and academics outside of the University. He was becoming known to people he had never met as the “Slammer” and as someone who verbally abused colleagues, he said. Although Tillery said he believes these statements could impact his career, Stevens said he is responsible for any repercussions. In summer 2016, Tillery said, he hoped NU would provide him with a statement saying the University had investigated the matter and found Stevens’ account of their March meeting inaccurate. Tillery said he reached out to the Office of General Counsel, but the office did not make a public statement on his behalf. “That left me with the impression that they would do nothing,” he said. Tillery — who then filed an amended complaint — said he wanted to stop Stevens from spreading “false statements” about him and to add witness statements that supported his account to the public record. Over the summer, Tillery told The Daily, his lawyers offered Stevens a settlement offer, in which he would drop his legal actions against her if she dropped hers against him. Her lawyers responded they would accept if Tillery made a public statement saying there is “no objective basis” for the claims that Stevens was a safety threat, according to an email obtained by The Daily. Tillery said he rejected that offer, and his lawyers filed a motion to dismiss Stevens’ counterclaims. Tillery told The Daily agreeing to Stevens’ terms would have undermined his efforts to preserve his reputation. Stevens said the fallout from the March 8 meeting between her and Tillery had adverse effects on her students. Just a few weeks after the meeting, Stevens was awarded a grant through the political science department to hire students as research assistants. She claimed in her lawsuit against NU and Monoson that the chair instructed staff to not forward applications to Stevens from students applying to work with her. According to NU’s response to Stevens’ lawsuit, Monoson said she had concerns from five of six graduate students enrolled in a Winter Quarter course taught by Stevens. Stevens, however, claimed in the suit that Randolph told her the funds were retracted because “Al (Tillery) feels unsafe.” NU denied that claim in its response. Stevens told The Daily some students who had applied for the grant decided to volunteer for research projects during the summer. Nearly a year after the funds were revoked, the Executive Committee of the Faculty Appeals Panel found that the action qualified as a major sanction under Faculty Handbook guidelines, according to a letter obtained by The Daily from the committee to Lindsay Chase-Lansdale, associate provost for faculty. In her lawsuit, Stevens contends that the University breached its contract with her, violating both its retaliation policy and her academic freedom. While Stevens contested the revocation of the grant, she said students who worked with her were often left in the dark. During her suspension later that year, Stevens — who is the director of the Deportation Research Clinic — could not contact students with whom she was working. The ban disrupted the students’ research projects, putting a few on slower tracks and ending some others, Stevens said. Charles Clarke, who worked with Stevens at the Deportation Research Clinic, said the ban “couldn’t come at a worse time.” The ban interrupted Clarke’s work at the clinic and on his dissertation, which Stevens was supervising, he said. Stevens filed a lawsuit in March for breach of contract due to the University’s decision to not indemnify her for fees incurred from Tillery’s lawsuit. The lawsuit alleges NU violated its indemnification policies as well as its academic freedom and due process protections, and that the University retaliated against Stevens for reporting Tillery’s alleged misconduct. The suit asks NU to provide injunctive relief and pay Stevens’ legal fees moving forward. “(Stevens) will suffer irreparable harm due to her inability to adequately defend herself,” the lawsuit said. According to the lawsuit, the University Statutes have few exceptions to indemnification. Among them are breaching one’s “duty of loyalty” to NU, seeking indemnification for internal University proceedings, not acting in good faith and intentionally committing misconduct. Although Stevens agreed to cooperate with the investigation in 2016, she questioned why an investigator was necessary for the University to rule on her indemnification request. According to the lawsuit, Stevens had previously been indemnified when she was subpoenaed in 2014 for a deposition during litigation involving another NU faculty member. Back then, Graham — who works in the Office of General Counsel — agreed to indemnify Stevens during a phone conversation, according to the lawsuit. NU’s basis for not indemnifying Stevens are allegations that she lacked civility and was possibly disloyal to the University, the lawsuit claims. In its June response to Stevens’ complaint, NU denied this claim. In its reply to Stevens’s complaint, NU denied that she is entitled to indemnification and said it did not retaliate against her. The University also said Stevens was not denied employment benefits due to her exercise of academic freedom. Stevens said she has appealed the actions taken against her to the Committee on Cause — a body that reviews faculty disciplinary matters — multiple times since March 2016. A few weeks after her meeting with Tillery, Stevens said she appealed the retraction of her Farrell Fellowship funding. Stevens said she was told the Committee on Cause couldn’t act until Randolph handed down a decision, but he never did so. No disciplinary charges were ever filed against Stevens, she said. She also appealed to the Committee on Cause after she was banned, but the committee was not convened until after the ban was lifted, and its decision notes it can’t rule on past matters. Stevens said she then appealed to address Monoson’s decision to move her office from Scott Hall. The Committee on Cause deemed the action disciplinary but the provost overturned its recommendation. 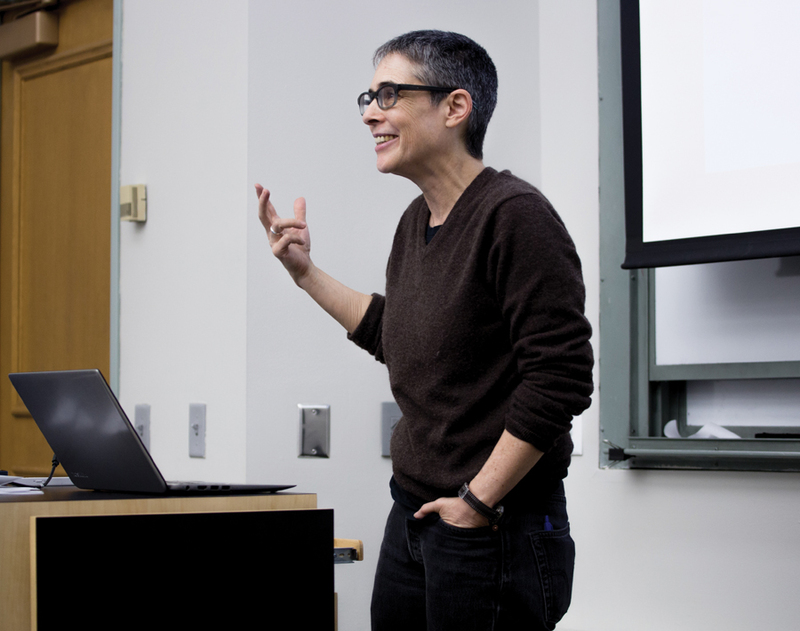 In March 2017, the Executive Committee of the Faculty Appeals Panel met to evaluate Stevens’ complaints over the withdrawal of her research funds, her suspension and her office move. The executive committee unanimously recommended that a Faculty Appeals Panel be formed to evaluate Stevens’ case. “The documents provided to the executive committee of the FAP left many unanswered questions about whether the administration appropriately followed the procedures described in the Faculty Handbook when determining and implementing the disciplinary actions taken against Prof. Stevens,” the committee wrote in its report. Faculty Senate President Robert Hariman, who was on the Executive Committee, said no Appeals Panel was ever formed after then-Provost Dan Linzer determined no major sanction had occurred. Last month, Stevens said she again appealed the decision to move her office. She said she was initially told the move would be temporary. Stevens’ lawsuit against NU alleges she was denied the chance to oppose the University’s decision to not indemnify her — which she called “a reprimand and/or a minor sanction.” The Faculty Handbook indicates that faculty can contest such actions. Stevens, however, claimed in a July motion for judgment that a Faculty Grievance Committee does not exist. One of the University’s ways of resolving faculty conflicts is the ombudsperson, a position approved in 2009. But the program is not widely known or used, Hariman said. According to Stevens’ motion for judgment in her lawsuit against NU, the Faculty Handbook does not state if the ombudsperson’s responsibility is to evaluate indemnification appeals. The ombudsperson was not responsive to Stevens, the lawsuit alleges. Art history Prof. Stephen Eisenman told The Daily that the ombuds position was intended to be held by professors emeriti who could offer relatively independent recommendations on disagreements between faculty. In March, Faculty Senate passed a resolution recommending the establishment of an ombuds office to serve as an “impartial, neutral, and confidential third party” to resolve community conflicts. Hariman said the resolution was not prompted by Stevens’ case. Faculty Senate will look at other ways to improve the conflict resolution process among faculty, he added. Various Senate committees will research best practices at peer institutions, Hariman said, with recommendations to come in the spring. In January, Stevens filed a complaint with the U.S. Department of Education Office for Civil Rights claiming NU’s actions violated the Americans with Disabilities Act. The complaint alleges the University violated the ADA on several occasions, including the fitness-for-duty examination, the suspension and the denial of research funds. In June 2017, the OCR said it would open an investigation into the allegations that NU violated the ADA by requiring Stevens to undergo a fitness-for-duty examination, and for moving her office out of Scott Hall. The last allegation — that the University discriminated against Stevens when it revoked her research funds — will not be a part of the OCR’s investigation because the complaint was filed more than 180 days after the alleged discrimination occurred. Cubbage, the University spokesman, declined to comment about the OCR complaint. Stevens and Tillery are still locked in a legal battle. After Stevens filed a counterclaim to Tillery’s suit, his lawyers filed a motion to dismiss her claims. A hearing on the matter is set for December. Stevens’ two other suits are ongoing as well: Last week, a judge denied her motion to rule on her indemnification suit, and recommended they move forward with discovery. The third lawsuit has not yet gone to court. Though they contested each other’s claims about the March meeting, both professors said the current system that addresses faculty conflicts is flawed. Stevens told The Daily there is no process “clearly available” to appeal any potential retaliation against faculty from an administrator. Tillery told The Daily he stepped down from his position as associate chair after last year, unwilling to serve in a job “where I’m exposed to such risks.” He said he wishes the Faculty Senate would do a better job adjudicating disputes. This story was updated to clarify that no disciplinary charges were ever filed against Stevens, and that Stevens believes the University retaliated against her because of her criticisms of the trustees. Additionally, the story was updated to clarify that since 2010, no incoming professor taught a 200-level Fall Quarter political science course until fall 2016.